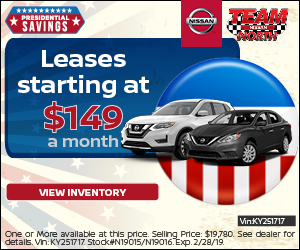 Upper Valley drivers who are seeking a new Nissan vehicle or used car, truck, or SUV, rest assured that you've arrived at your premier Nissan dealership. Here at Team Nissan North, our courteous teams provide the utmost professionalism and expertise when it comes to buying a new Nissan or maintaining your vehicle. From the experts of our sales and financial teams to our certified Nissan technicians, you'll find everything you're after right here at our dealership. Located off Interstate 89 and Route 120 North = Exit 18 Lebanon NH.